In the spirit of this thankful time of year, we’re looking back and remembering the extensive backstory of our inn. 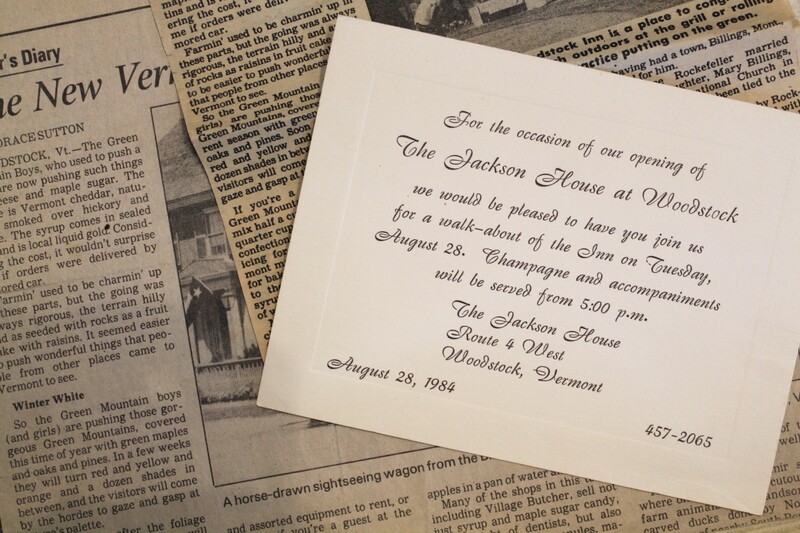 The Jackson House Inn embodies a very deep history in the town of Woodstock, and we are lucky enough to have had such thorough documentation of the property handed down to us by previous owners. We, the Terwelps, took ownership of this special inn in May of 2010. We visited Central Vermont regularly over the years to drive our children to camp on Lake Fairlee. When the opportunity arose, we felt excited to become permanent residents of the Woodstock community with our newly acquired inn. After some renovation to the interior and exterior of the property, we find that the house and its grounds now reflect our vision of warmth and refinement. 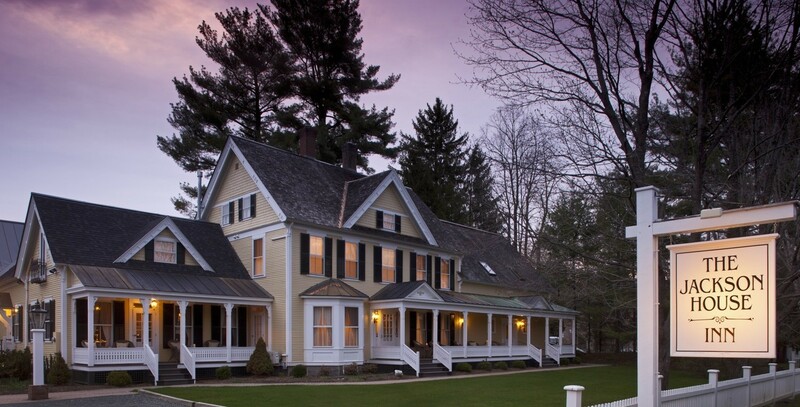 Despite all our updates, we continue to relish in the rich history and regional character of The Jackson House Inn. Christine Jackson was born in Woodstock, VT in May of 1908. 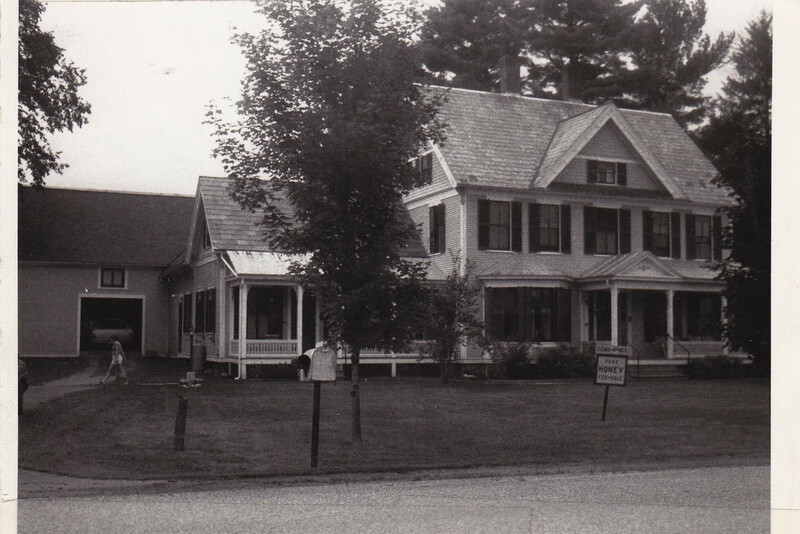 Her father was a carpenter and built their family home in Barnard, VT in 1905. Christine grew up in a time where her house was heated with wood fire stoves, lit by kerosene lamps, and supplied by water pumped by hand from their well. There was an outhouse, no electricity, and telephones that operated on the same line. In fact, every Saturday at noon, Christine remembers one long ring by Central, giving the correct time of day and weather report. Robert Jackson was born in Scotland on September 20, 1906. He traveled by boat to America in August of 1911, settling in Weathersfield, VT with his sister and grandparents. 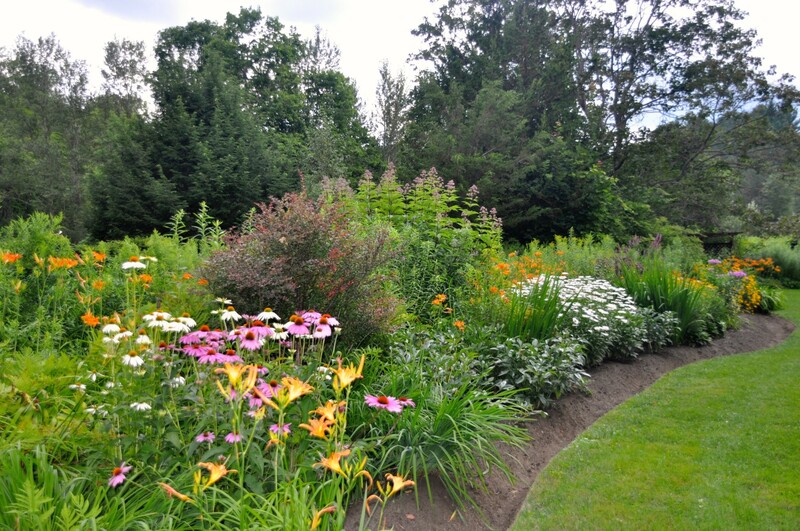 By 1934, Robert was naturalized in the Windsor County Court in Woodstock. Robert met Christine in 1928 in Barnard, and eloped on April 5, 1930 in Woodstock’s Christian Church parsonage. 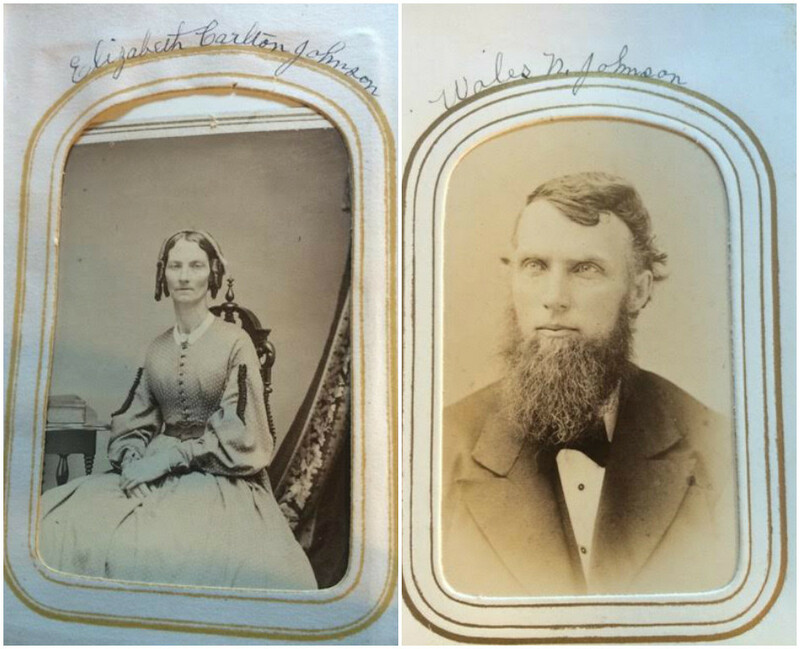 Robert and Christine moved to West Woodstock on July 4th, 1940 upon purchasing a property built by Wales Johnson in 1890. A successful businessman and eventual owner of Daniels Machine Co., Wales was known as a lumber baron. He acquired the best hardwoods and materials available and set out to build the finest house in Woodstock. He assembled floors with furniture quality cherry, maple, basswood, oak, and pine. Wales even went so far as to bury the black cherry for the front staircase for three years to acquire its now rich tone. The Jacksons established The Seven Maples Tourist Home in 1940, named after the seven maples in the front yard, and began renting rooms and serving meals. By 1942, gasoline was rationed, causing a decrease in travel and hurting business. Robert took work serving lunch at the Rotary Club of Woodstock to make up costs. Here, he met members Harry Kidder and Warren Gillingham (note, F.H. Gillingham & Sons in the Woodstock Village). 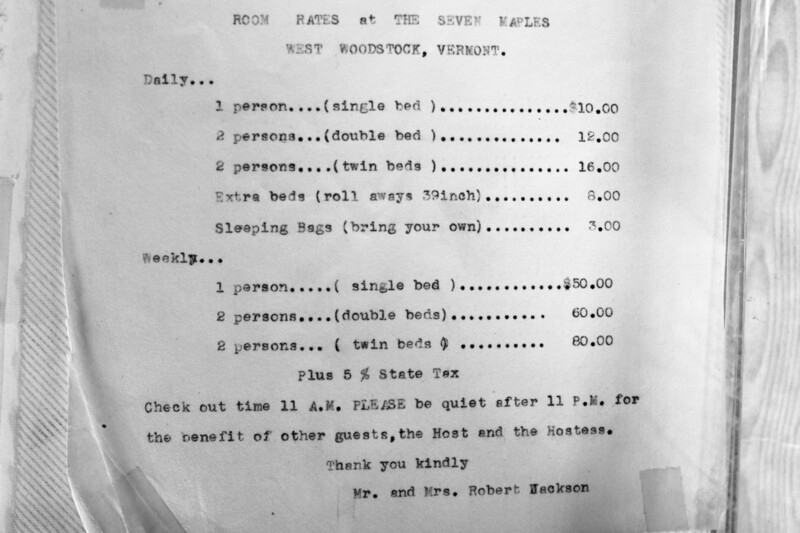 The members’ recommendations helped increase business at the inn. While at Seven Maples, Robert also enjoyed beekeeping. He and Christine prepared and sold the honey. Christine also reveled in the evenings and weekends the inn wasn’t busy. She and Robert would often go fishing in their row boat. 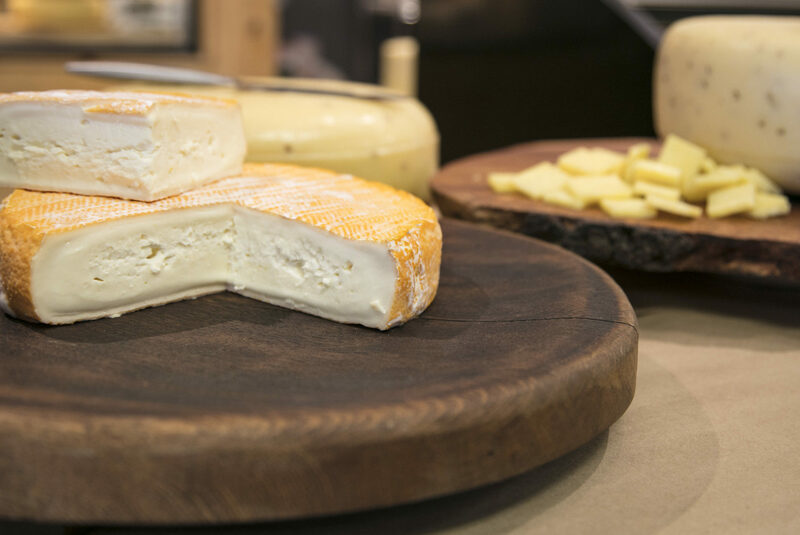 The Jacksons’ ownership of Seven Maples continued for 42 years. Robert passed away on June 30, 1982, at which point Christine could not maintain the large house on her own. 14 rooms proved too much for her alone. In October of 1982, Seven Maples sold to Jack Foster and Bruce McIlveen of Oregon at auction. These two changed the name of the building to The Jackson House Inn in honor of the previous owners’ years of hospitality. 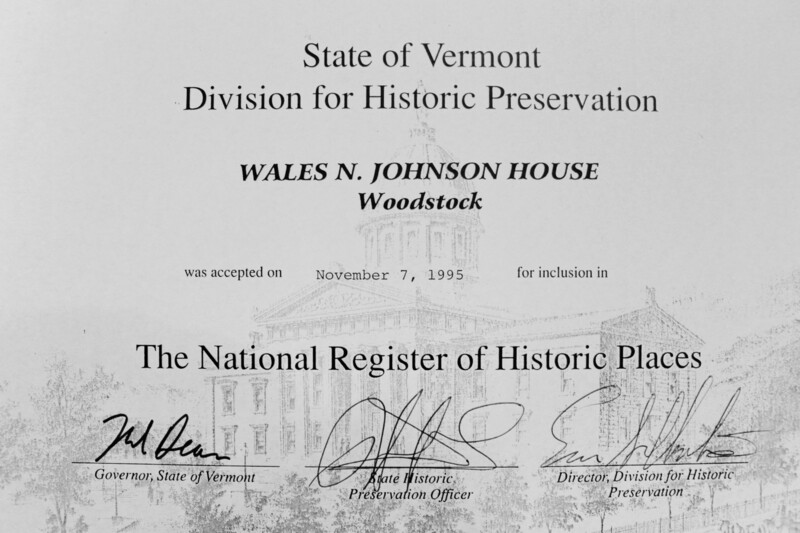 They also accumulated research and documentation to support the inn’s acceptance on the National Register of Historic Places. We happily share and preserve this history with our guests. Much of the original wood remains today, as well as the copper roofing (although updated in recent years). A number of rooms still don the names of the inn’s historical presence. The Miss Gloria Swanson room, for instance, commemorates the actress’s previous stay at the inn (she was referred to as “Miss” throughout her life and many marriages). We also offer the Wales Johnson and Christine Jackson suites in our array of accommodations, which are, of course, named to honor the previous owners. We are in the midst of “our chapter,” and we have no doubt this beautiful inn will create more magnificent memories even beyond our ownership.